Supporting real estate projects that revitalize communities. 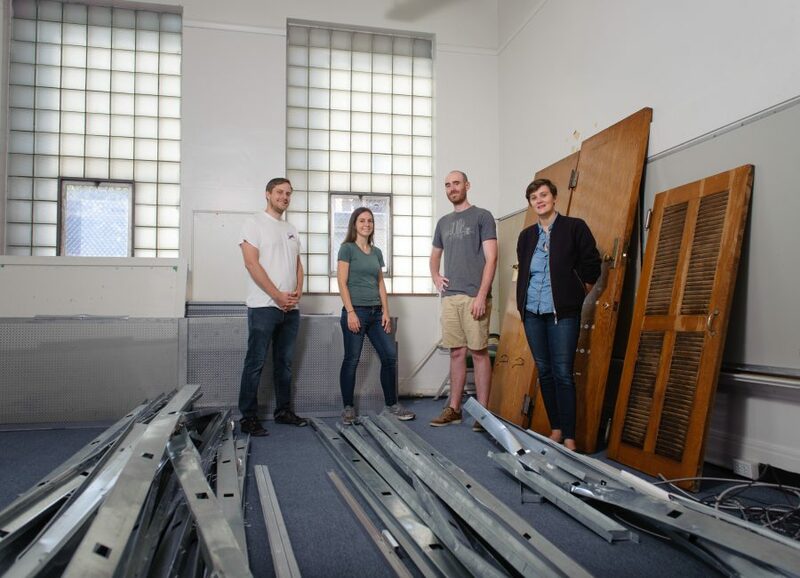 When the team behind Community Forge came together in 2016, they envisioned a cooperative social enterprise that would be a platform for community service, education and civic action, and also play a key role in revitalizing an economically distressed neighborhood. Community Forge acquired the former Johnston Elementary School in Wilkinsburg with funding from Bridgeway Capital. The building had sat vacant since 2012. The group was glad to reclaim a space like that for what they feel is a more creative purpose. The 45,000 square feet, four story building features more than 20 classrooms, an atrium, library, gymnasium and other multi-purpose rooms which are being transformed into co-working spaces and venues for the performing arts and events.